ASNN was founded in 2007 December by Dr.M.Ganesan and his mental health team with the facilitation of Kinderberg International, Germany represented by Martin Dolan. The organization was established as a response for the lack of services for children with special needs and awareness of the public on disability issues and rights of these children. In the Ampara district, less than 5% of “Children with Special Needs” have access to any form of suitable education. 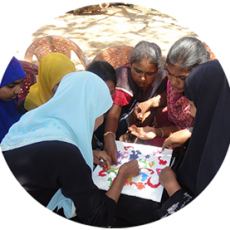 No Tamil medium training program was available for the teachers who working with these children. Also, these children still do not have full access to school, medical care, rehabilitation and other development activities. 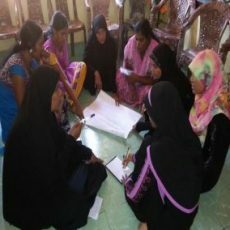 ASNN started the Teacher Training Program for 40 teachers in collaboration with KinderBerg International and Volunteer Services Overseas (VSO) in January 2008. In July 2009 ASNN began to support the Special Needs Clinic at Ashroff Memorial Hospital and held its first ASNN Get-together with over 500 participants attended of the event. In the same year, ASNN was awarded full registration as an independent Non Governmental Organization. ASNN established a good partnership with Kinderberg International and America Jewish World Services (AJWS). The two organizations are helping ASNN in carrying-out our programs and services. Specialized medical clinics within government hospitals for children with special needs. Try to Start Sing Language teaching classes for children with hearing and speech difficulties. Coordinating all disability actors of the region with the support of Department of Social services.